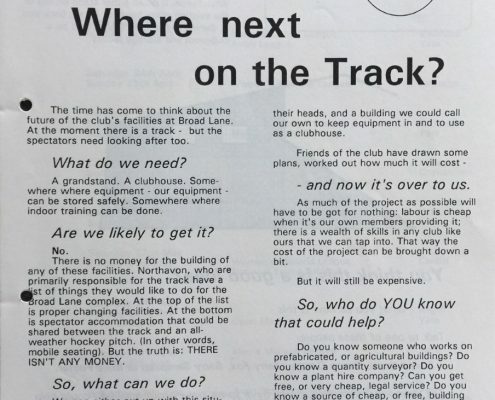 An article on building our own trackside facilities including a 200 seat stand at Yate. 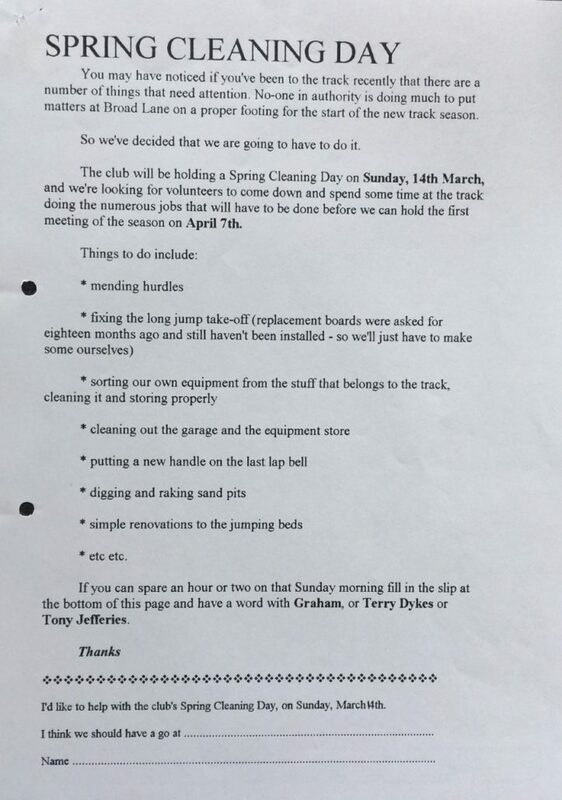 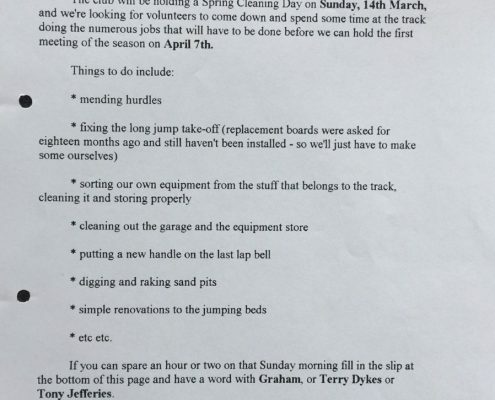 Plans for a track equipment ‘clean-up’ day on 14th March. 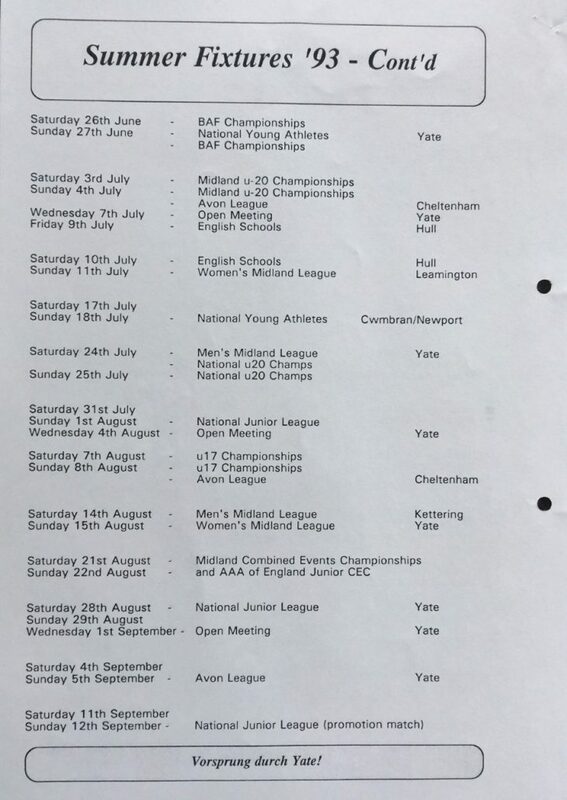 Summer fixture list. 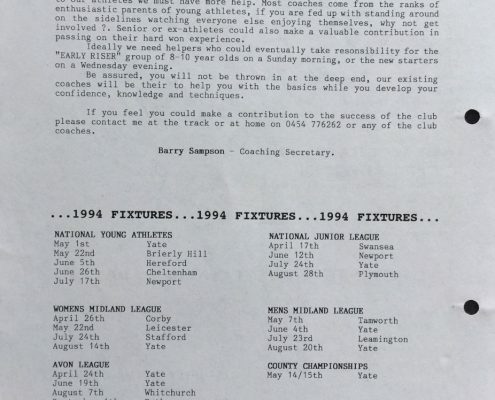 A plea for more coaches and officials. 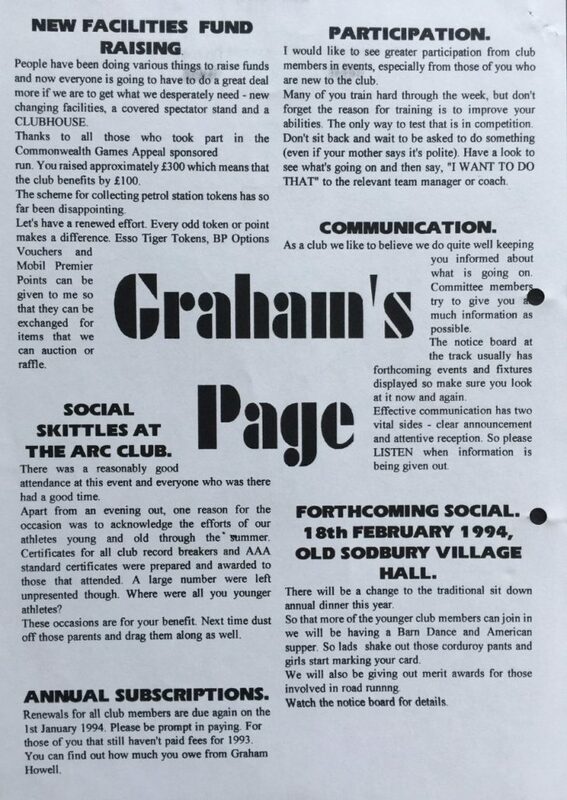 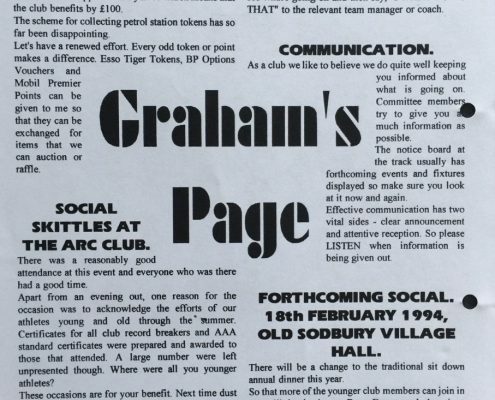 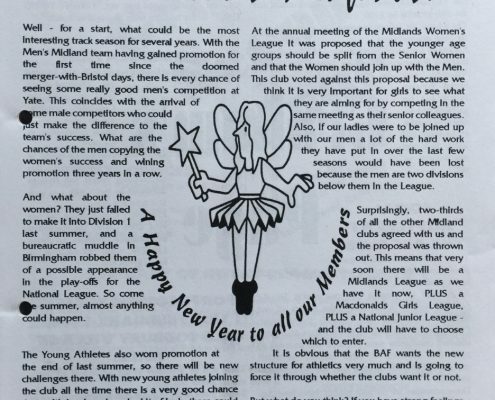 The club is 10 years old. 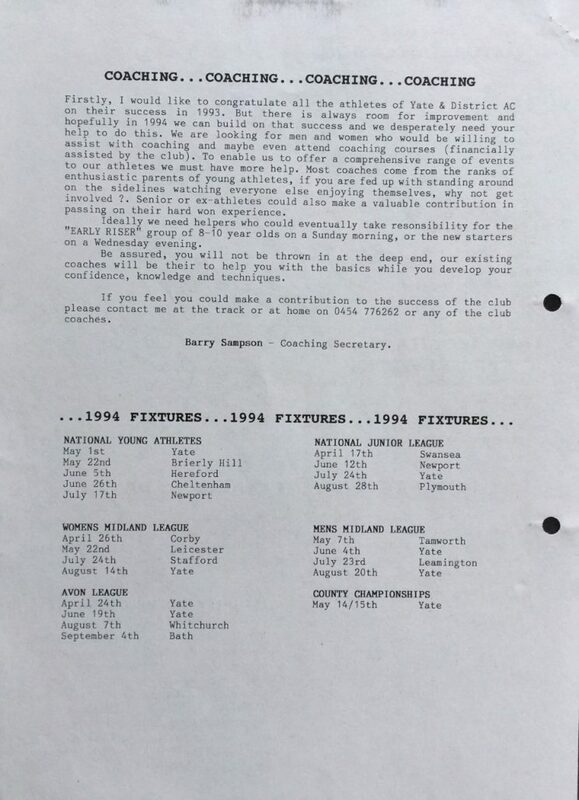 A resume of track and field league positions so far. 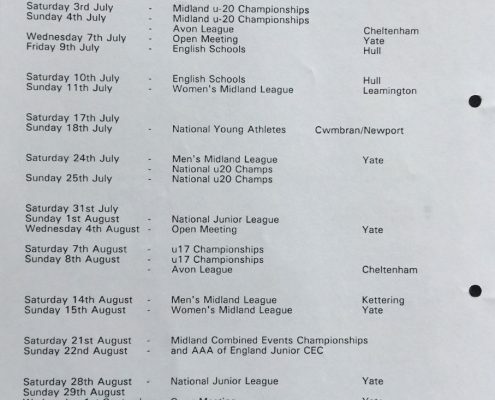 Mens Midland League Team gain promotion. 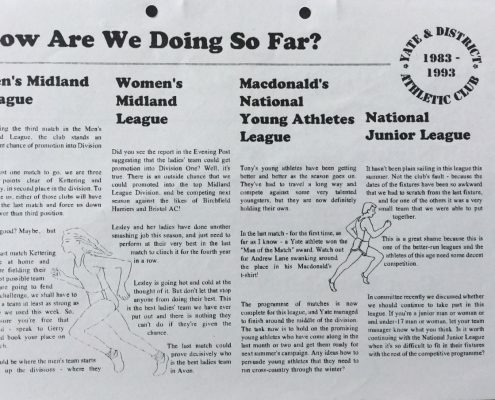 The Womens Midland track and field team just miss out on promotion to Division 1. 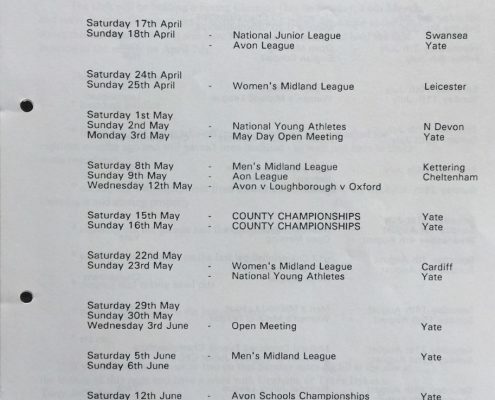 Young Athletes win promotion. 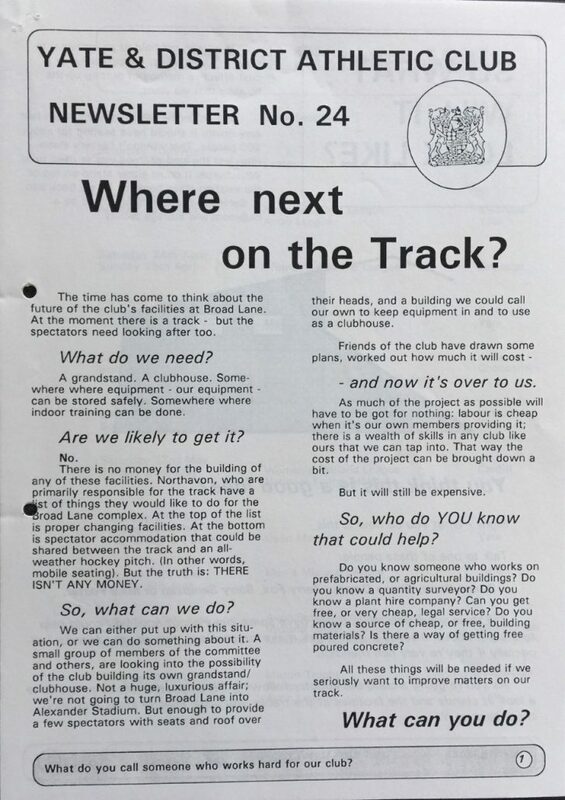 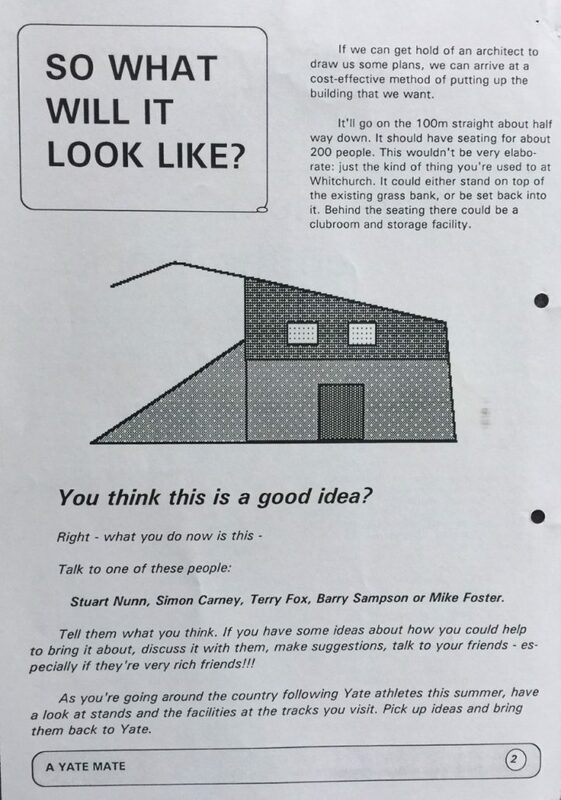 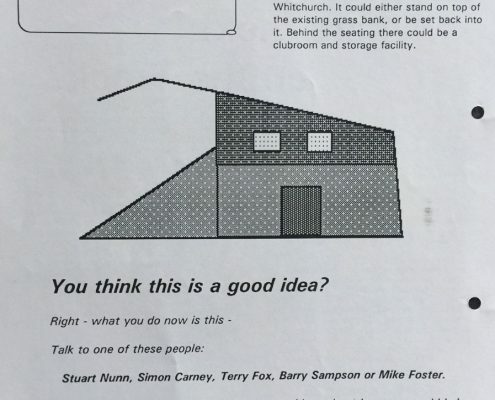 A push on the promotion of social and fund raising events for the new trackside buildings. 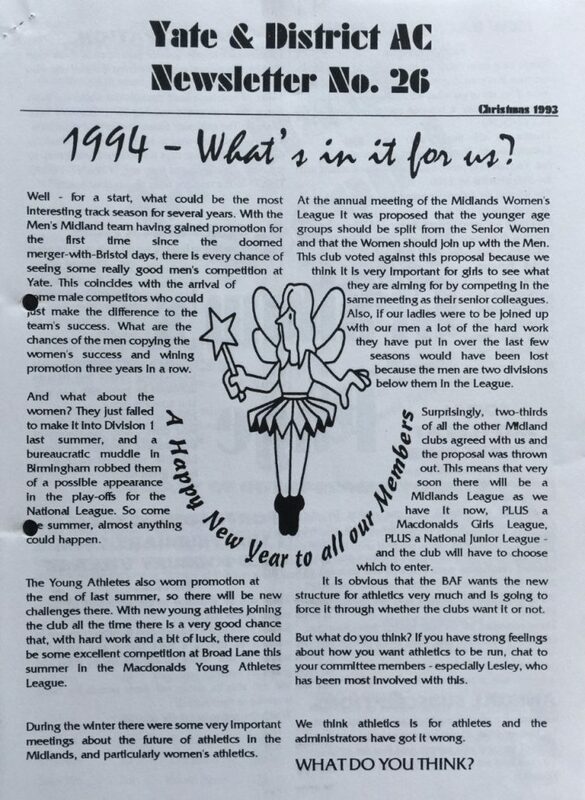 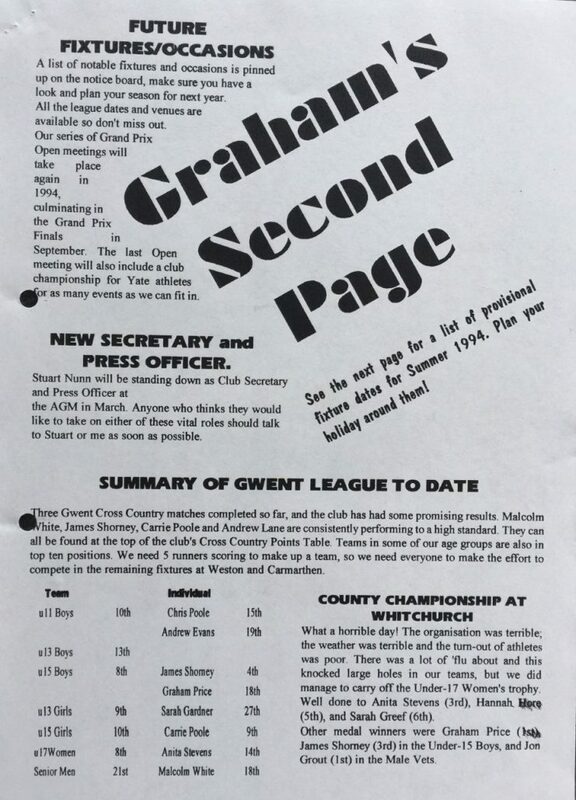 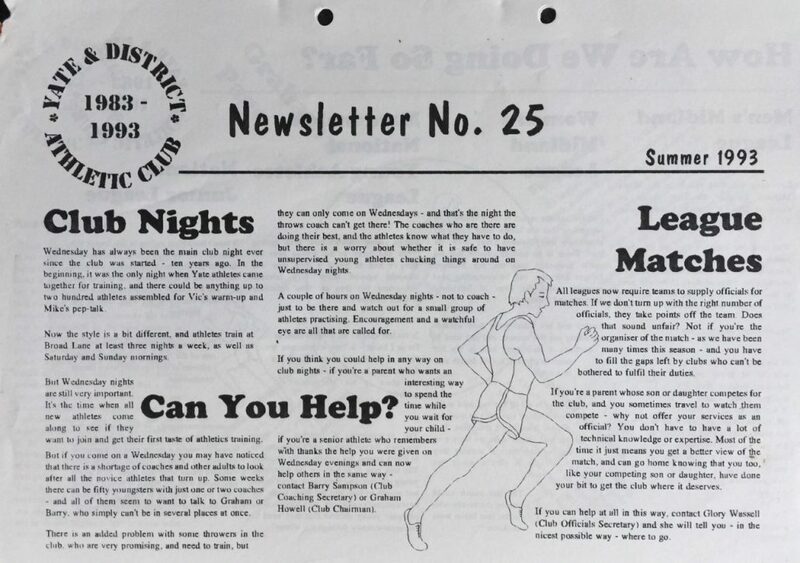 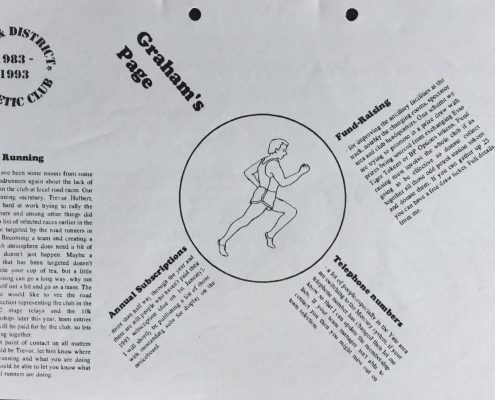 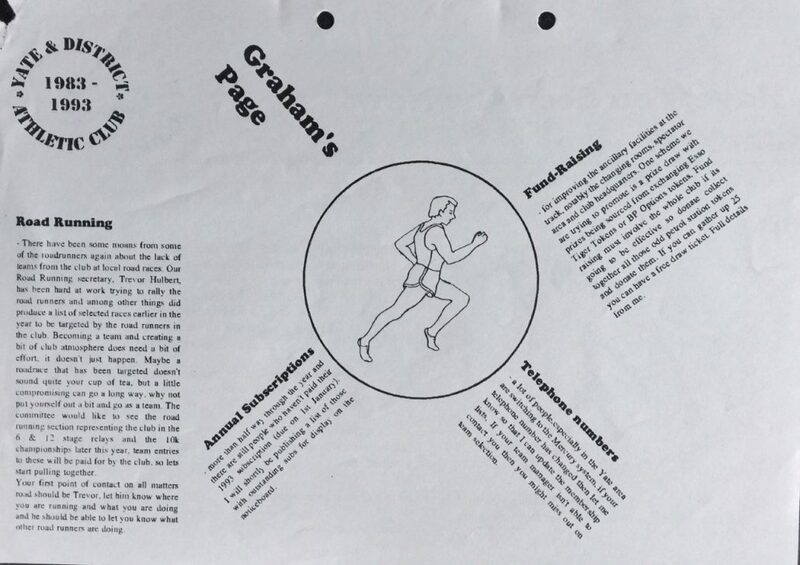 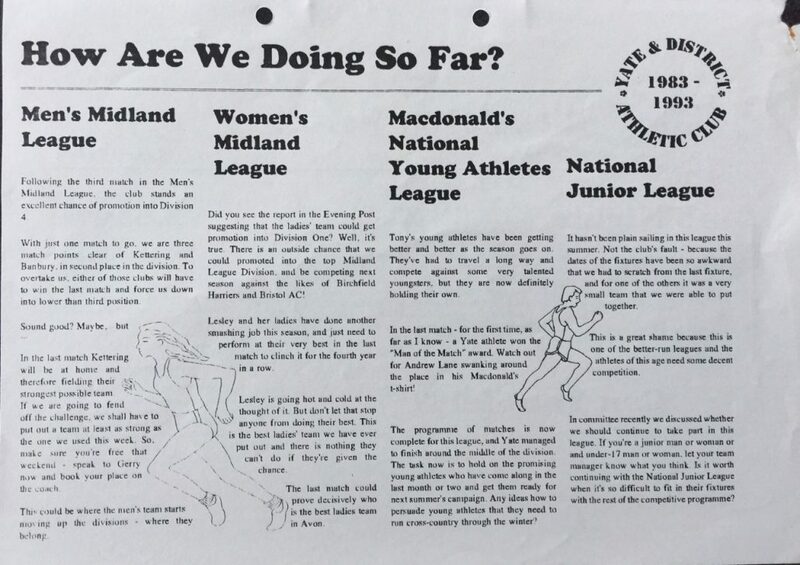 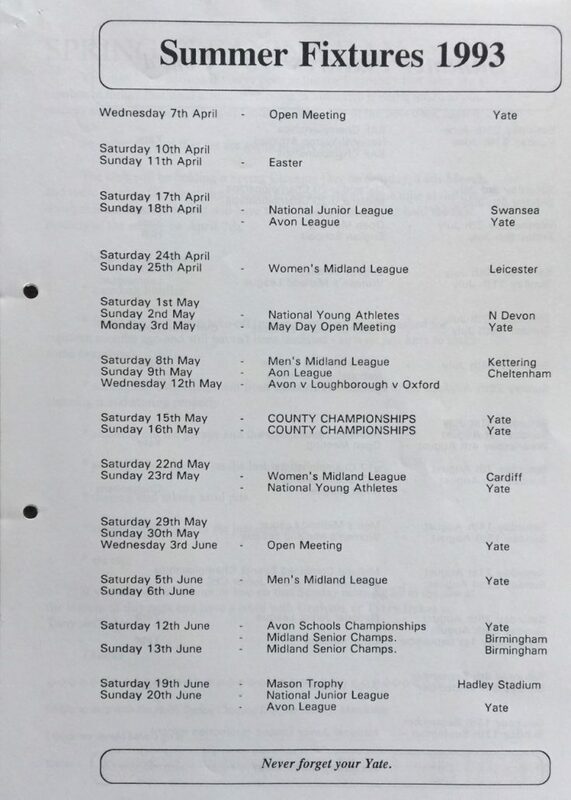 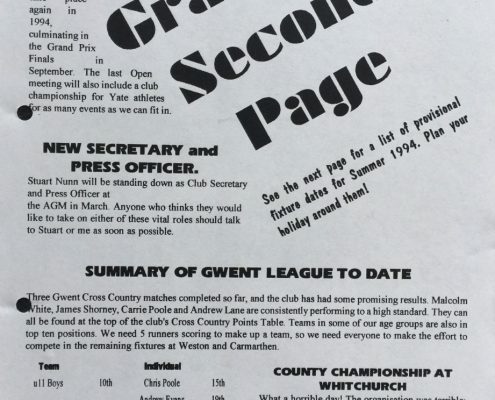 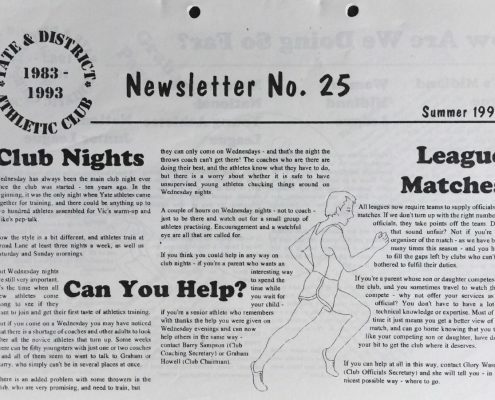 A fixture list for track and field league matches in 1994.